Would you like a cozy log cabin where you can escape to? 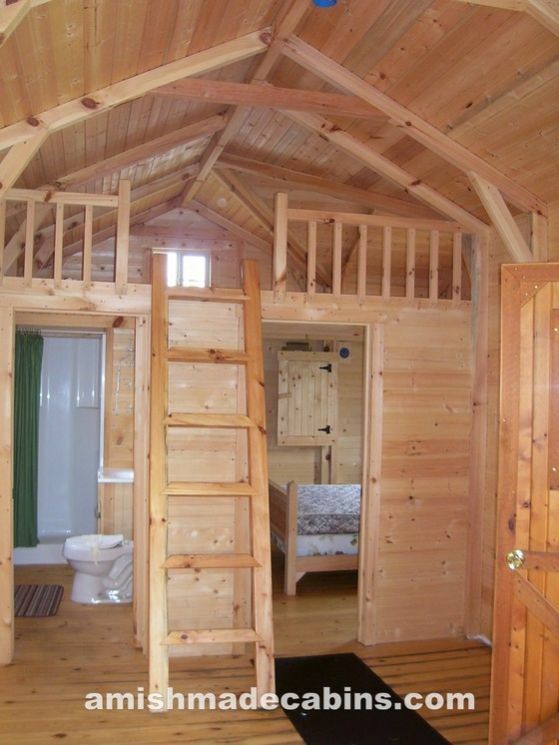 Behold the Weekend Retreat log cabin, made by Amish Made Cabins. 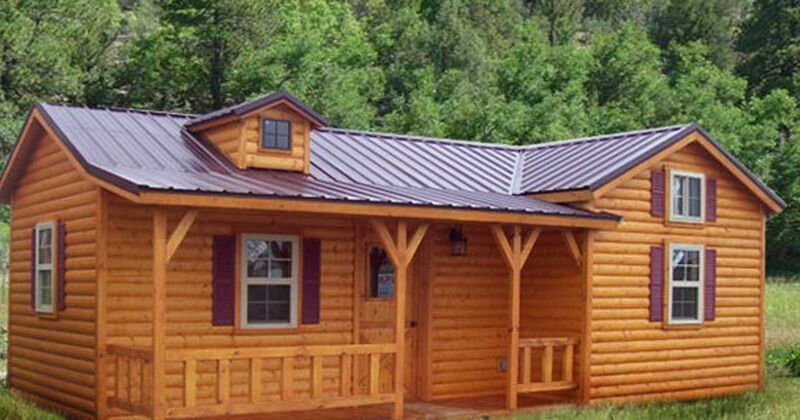 The company sells and delivers permanent log cabins and kits all over the United States. 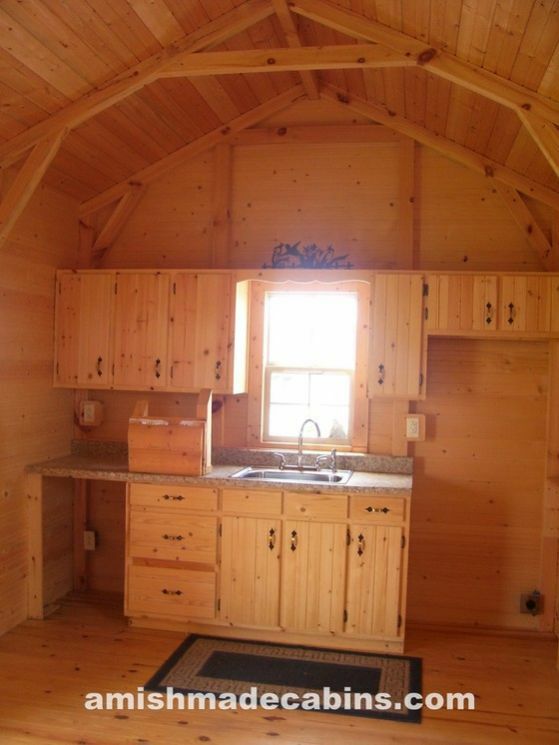 As mentioned on their website, these cabins are not mobile homes and designed to appreciate in value with time. What's the beauty of the Weekend Retreat? 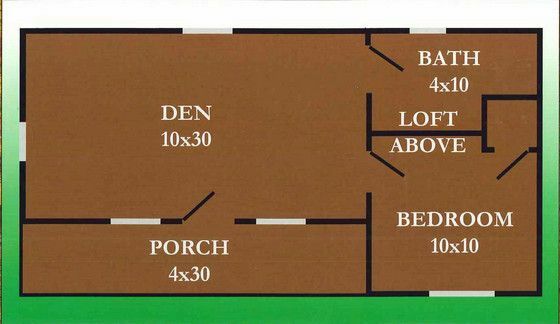 You get the benefits of a single floor layout (bedroom, bathroom, and kitchen all downstairs) with outside porch. There's also a loft that can be used for extra space or as an extra bedroom. The kitchen is 10 feet tall (~ 3 meters) and has plenty of cabinet space and room for appliances such as a fridge, sink, dishwasher, and more. The window above the sink adds a little bit of extra sunshine each morning you wake up. The bedroom and bathroom are right next to each other which makes life much more convenient. 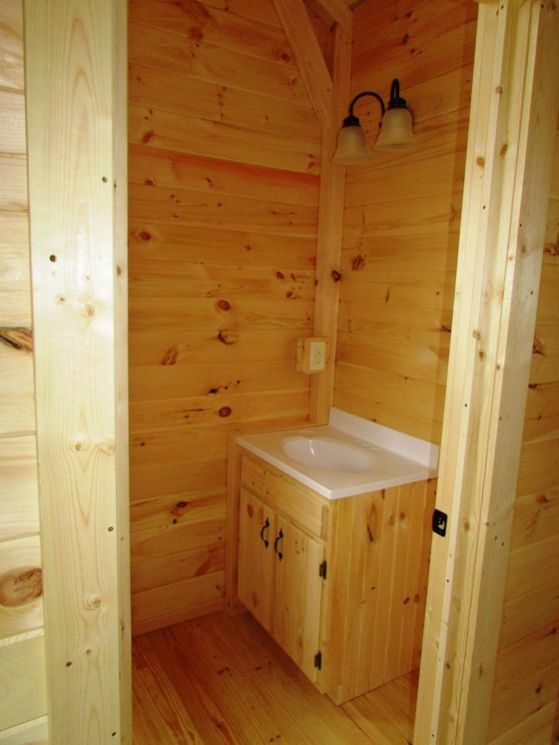 The bathroom includes a full shower, sink, toilet, and vanity area. A ladder leads up to the loft above. 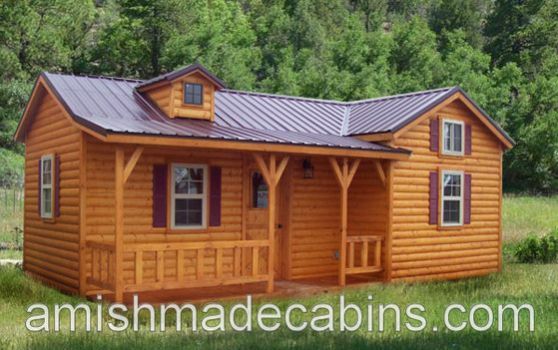 According to Amish Made Cabins' website, this model is available starting from 392 square feet (or 36 square meters). Like what you see? Be sure to SHARE with family and friends on Facebook!